The Painted Hills are in Oregon’s list of our seven “best” natural attractions cleverly called, The Seven Wonders of Oregon. They are perfectly pleasing painted plateaus of photographic pleasure. I really should never attempt alliteration, but it makes me smile, so you’re going to have to play along. Seriously the Painted Hills are very photogenic and are well worth visiting. I wish I lived a bit closer, it would be fun to be able to photograph them in different kinds of light. It’s easy photography once you arrive just drive the main road and you’ll see several well marked lookouts and trailheads. The trails are well maintained and most are very easy and some are even partially wheelchair accessible. 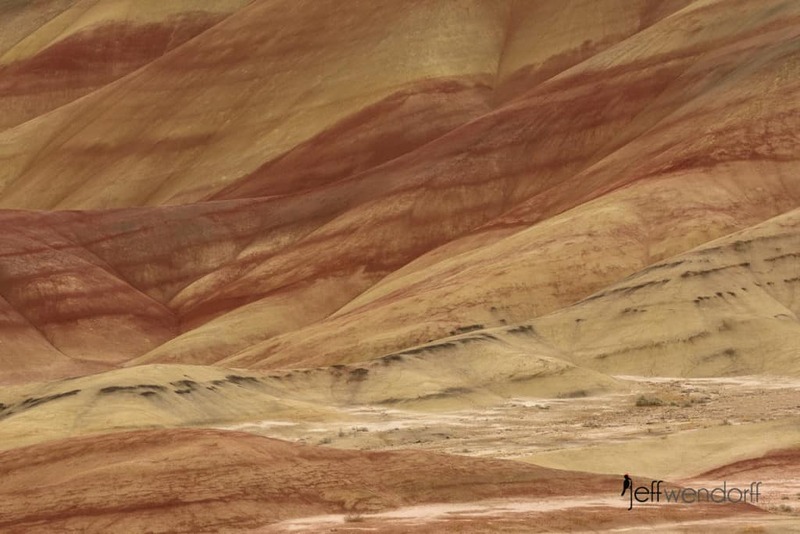 Why are the Painted Hills Painted? The unique colors that streak the clay rich hills and mounds were formed over 35 million years ago by different volcanic eruptions and changing climate patterns. 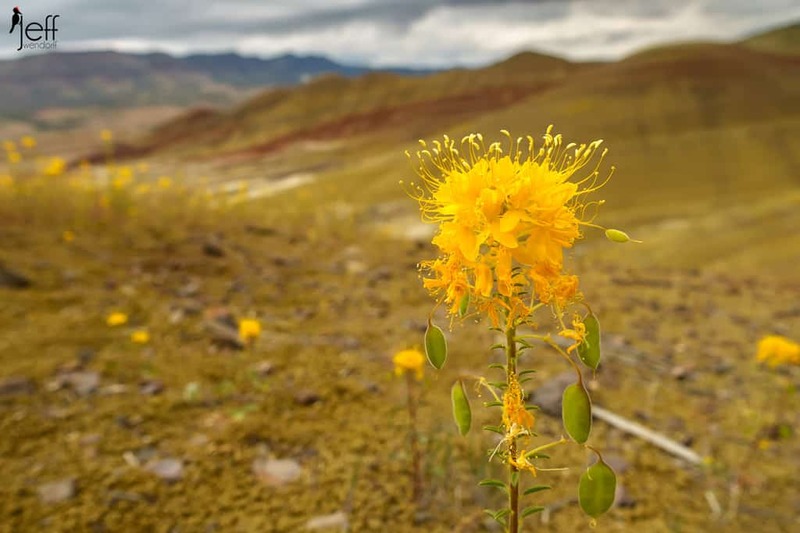 Once this area was a river flood plain with a warm tropical climate and an abundance of plants forming lush forests with exotic animals such as prehistoric horses, elephants, camels and saber tooth tigers roaming freely. Over time the landscape transformed again and again responding to the powerful forces of nature. 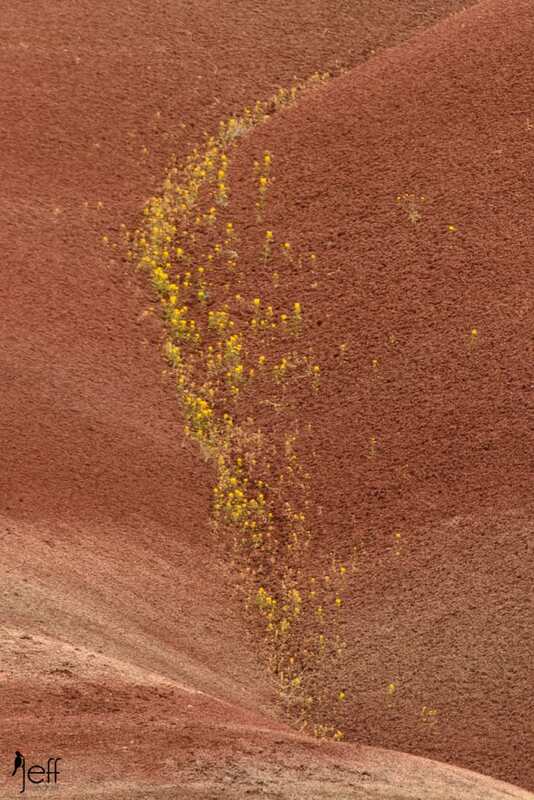 Layers of ash and different types of soil mixed with minerals and plant material and eroded causing the unique coloring of the Painted Hills landscape we see today. – From Mitchell Oregon’s website. They are the gateway city when you visit the Painted Hills. 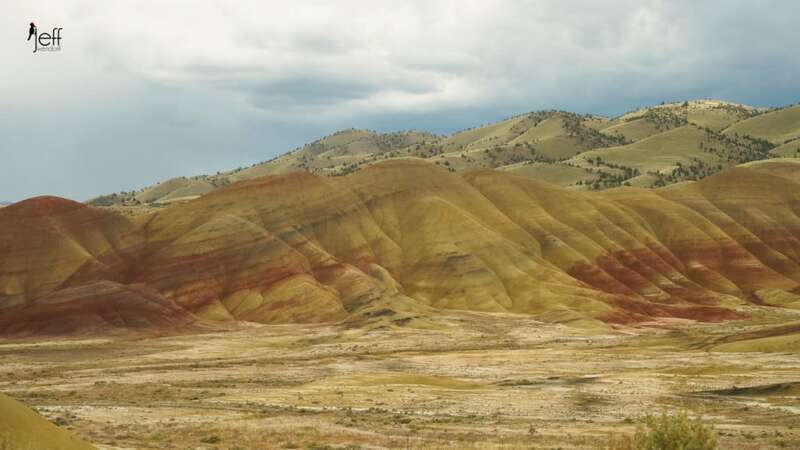 Where are the Painted Hills of Oregon? 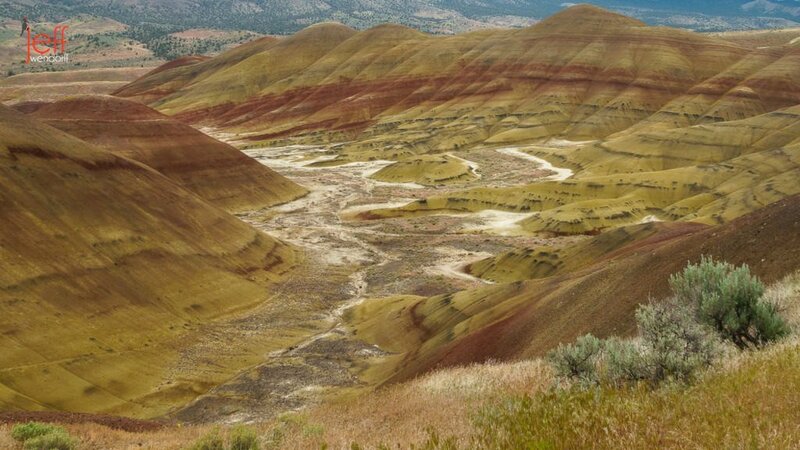 The Painted Hills are one of the three units of the John Day Fossil Beds National Monument, located in Wheeler County, Oregon. It totals 3,132 acres (1,267 ha) and is located 9 miles (14 km) northwest of Mitchell, Oregon. I’ve added a new gallery to my online portfolio that highlights all of the landscapes I’ve photographed around Oregon. You’ll find more images from the Painted Hills and all of them are available as prints or may be licensed for your personal or business use. You can find the Oregon Landscape Portfolio…HERE. There is also a gallery that feature the Oregon Wildflowers that I have photographed and that gallery can be found by clicking…HERE. I’ve got many workshops on my schedule and some of them will be in Oregon. Check out my schedule, I’ll be you’ll find a photography workshop that will suite your interests! Check it out at www.wildlifeworkshops.com.